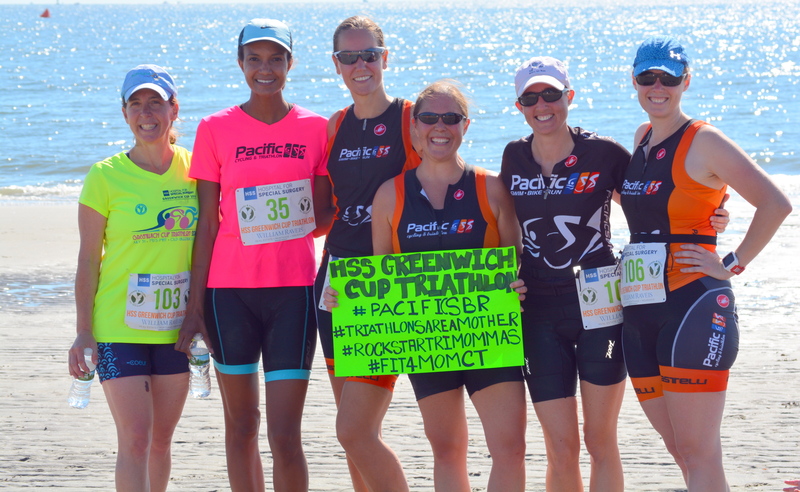 In a lot of ways, being a triathlete is not that different from being a mom. Both roles foster a new appreciation for what the human body can do, and both roles are highly rewarding. It makes sense that in 2016, Nikki started competing in triathlons simply because her mom friends were doing them. Her training group consisted of all moms with children age 5 and under. These amazing moms lent her a road bike, taught her what a “brick” was, and how to put on a wetsuit. After many early morning sunrise training sessions that often included all three disciplines, she crossed the finish line of her first triathlon. After the Greenwich Tri, Nikki went on to complete 3 more triathlons that summer and was hooked on the wonderful sport. In 2017, Nikki continued training with her mom tribe who affectionately call themselves the #solesisters. 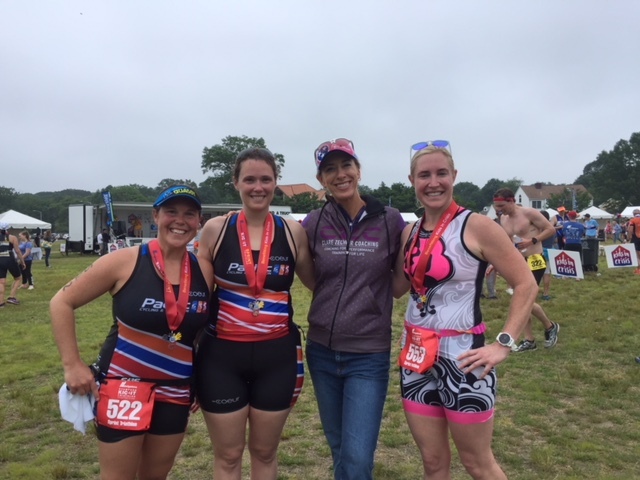 All the early sunrise training paid off in September when Nikki age-group placed in both the Westport Kiwanis Triathlon and the Westchester Super Sprint. Since every triathlete loves a good bike shop, Nikki began getting all her biking and tri gear needs met at Pacific Bike Shop. 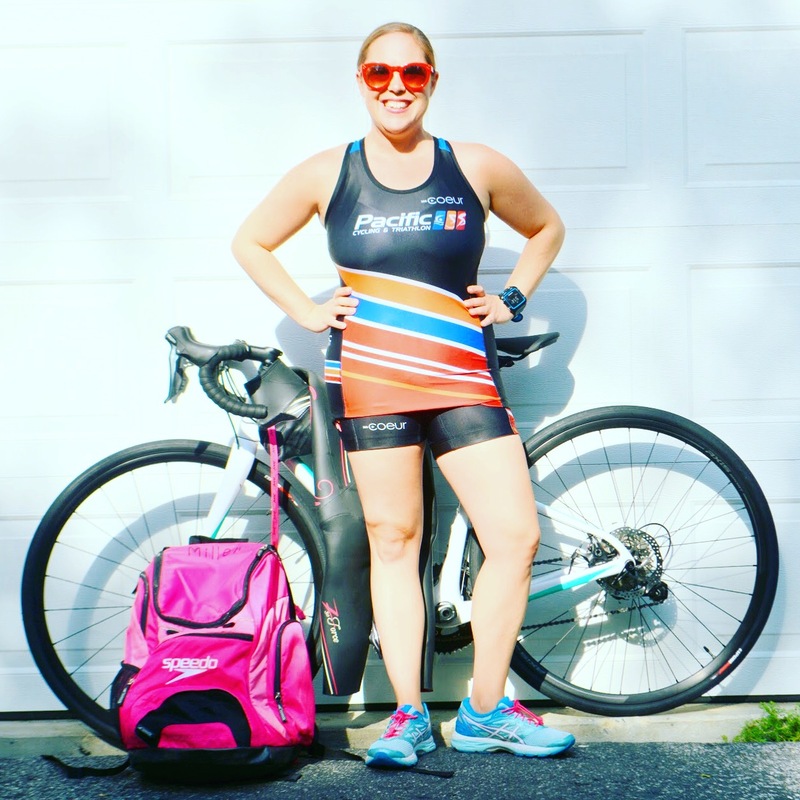 It was there that Nikki met Coach Clare at an event called “Train for a Sprint Tri in 4 hours a Week.” After that initial consult, Nikki knew she could bring her training to the next level with the extraordinary help of Coach Clare. Working with Coach Clare has been wonderful for Nikki. Every workout is thoughtful entered into training peaks and tailored to help Nikki be her best in each discipline. From track workouts, speed drills, and amazing race day trips Nikki has been to apply all her training to success on the race course. More importantly Clare is a constant source of reasoning and encouragement. When Clare says she will be at a race with bells and whistles on, she literally means BELLS and WHISTLES to cheer on her athletes.